Eastern Europe is bisected by the Carpathian Mountain range. 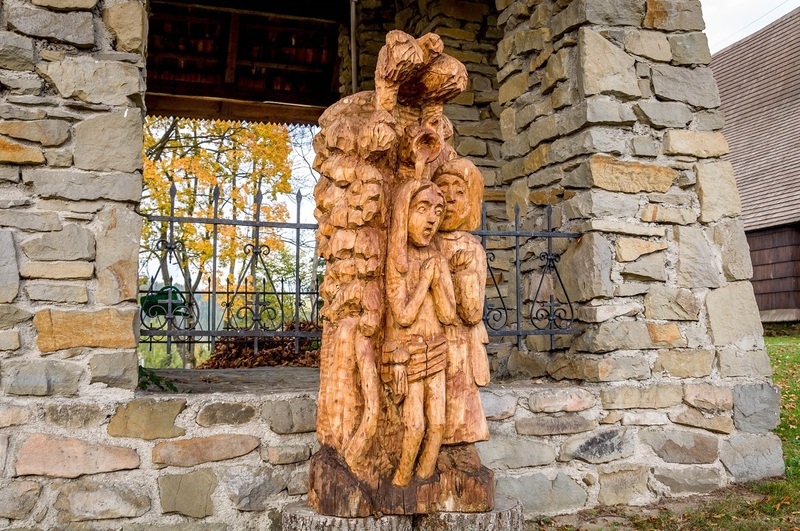 On the north slope of the Carpathian Mountains, a unique architectural and artistic tradition was born: ornate wooden churches. 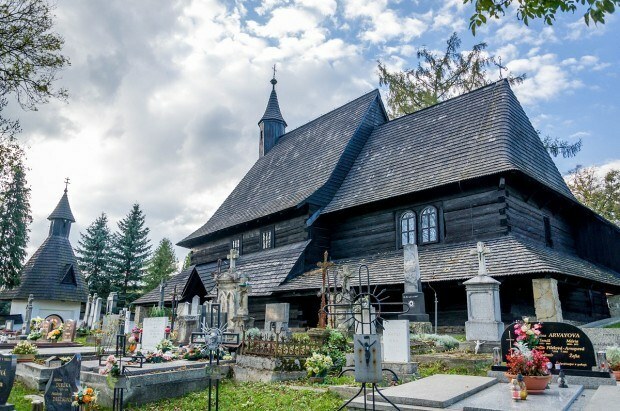 The Slovakia Wooden Churches date from a period (16th to 18th centuries) when most Christian churches were being built from stone, these buildings are truly unique. The wooden churches of the Carpathian Mountains reflect a mix of theological and architectural traditions. Through the ages, this region was heavily influenced by several religious sects. In the early Middle Ages, the area was converted to Catholicism. The Roman Catholic Church had a strong a direct influence in the region (and which continues to this day). 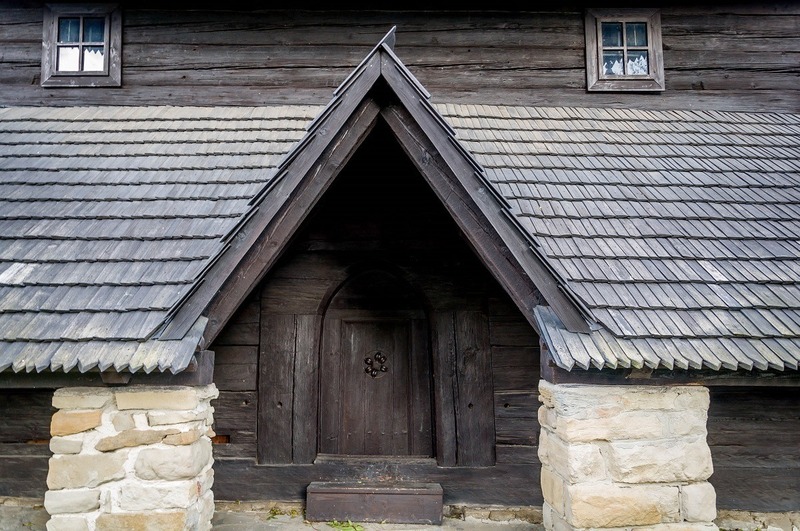 The first wooden churches in Slovakia were Catholic. However, the Reformation in 1517 complicated matters significantly. As the Protestant Reform spread east, the arguments over theology were muddied by shifting political alignments and horse-trading among the ruling elite of Austro-Hungarian Empire. This resulted in Habsburg Emperor Leopold I recognizing non-Catholic churches in 1881. The regulation of these non-Catholic churches was done by the “Articles.” Leopold I’s ruling placed some restrictions on the non-Catholic churches, including the edict that they had to be erected the city center. We discovered that what was outside the city center in 17th century is practically downtown now! In the latter period of wooden church development, a stronger influence from the east brought Eastern and Greek Orthodox churches. However, the result is that western Christianity (both Catholic and Protestant) and eastern Christianity (Orthodox) coexisted in an extremely small area of what is Slovakia and Poland. There are over 50 Slovakia wooden churches and perhaps another dozen or so in the southern part of Poland. 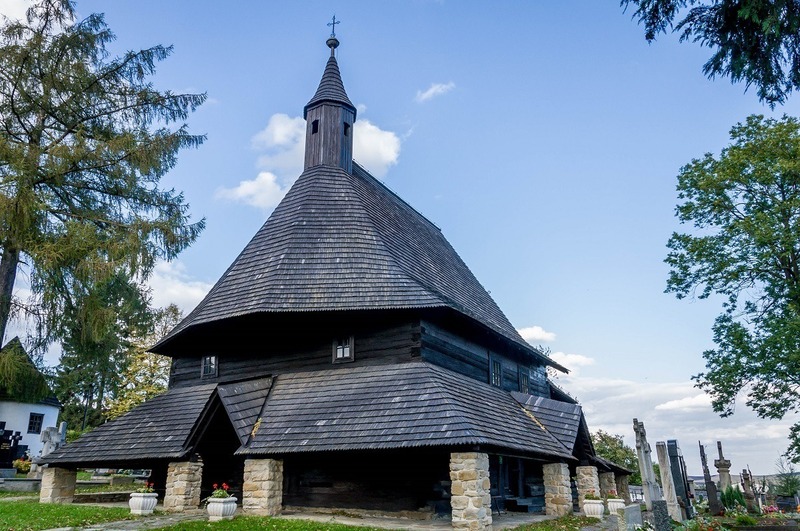 A total of nine wooden churches in Slovakia are recognized as a UNESCO World Heritage Site for their artistic, architectural and theological value to humanity (collectively known as the Wooden Churches of the Slovak part of the Carpathian Mountain Area). We had the opportunity to visit Tvrdošín in Northern Slovakia. The Roman Catholic wooden Church of All Saints in Tvrdosin dates from the 15th century, but could have existed much earlier. Tvrdosin is quite unique in that it was Catholic, then became a Protestant house of worship, before returning to the Catholics. On arriving at Tvrdosin, we were greeted by a high, white wall with a rounded archway. Towering above the walled courtyard was a wooden bell tower. The courtyard was riddled with a patchwork of tombstones that didn’t seem to have any organization. I didn’t know what to expect from the wooden churches in Slovakia, but they were much smaller and more intimate than I anticipated. While the old wooden church still houses special services, a new church sits just outside the courtyard walls. The new church was built in the architectural style of the old wooden church. 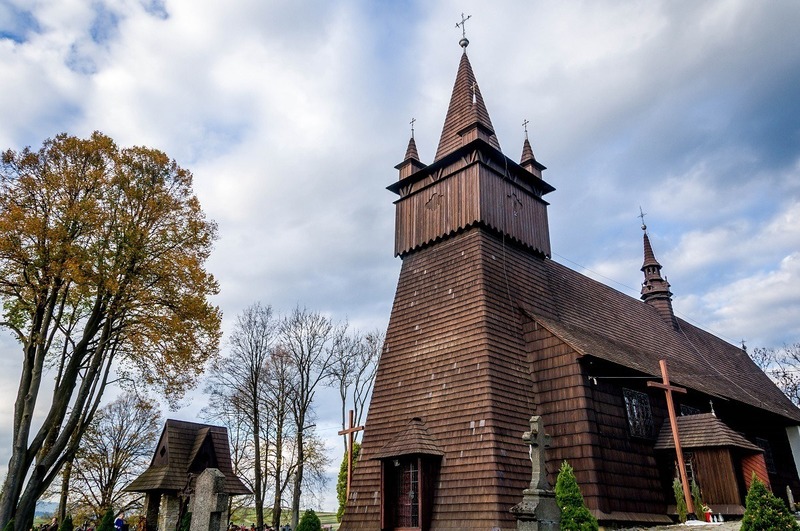 While the Slovakia wooden churches may be better known, there are also a number of wooden churches across the border in Poland (known as the Wooden Churches of Southern Malopolska). We visited the extremely ornate Church of John the Baptist in Orawka in Lesser Poland. We visited the wooden churches in Slovakia and Poland while driving north through the Carpathians and on to Krakow. These wooden churches are an opportunity to experience this unique aspect of life in Eastern Europe. They provide intimate venues for worship, while chronicling the history of the region in their architectural styles. Tvrdosin and Orawka made great stopovers on our drive, and I think I enjoyed the Slovakia wooden churches more than Laura did. We were the guests of the Slovak Tourist Board. As always, all opinions are our own. 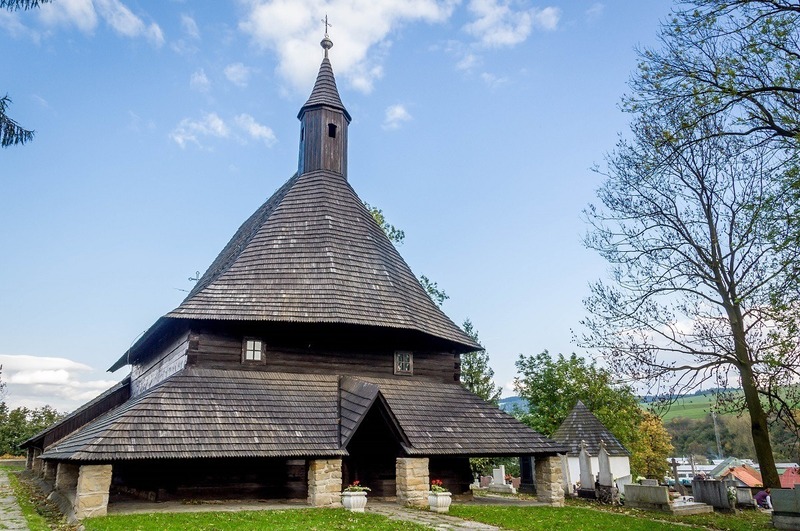 What do you think about The Slovakia Wooden Churches of the Carpathian Mountains? 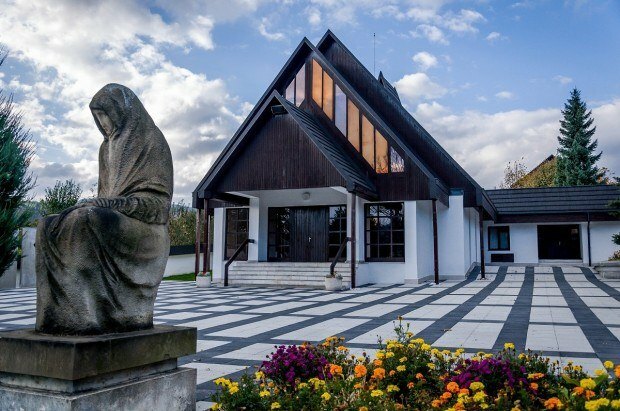 Mm – think I like the modern church with the figure out front the best.